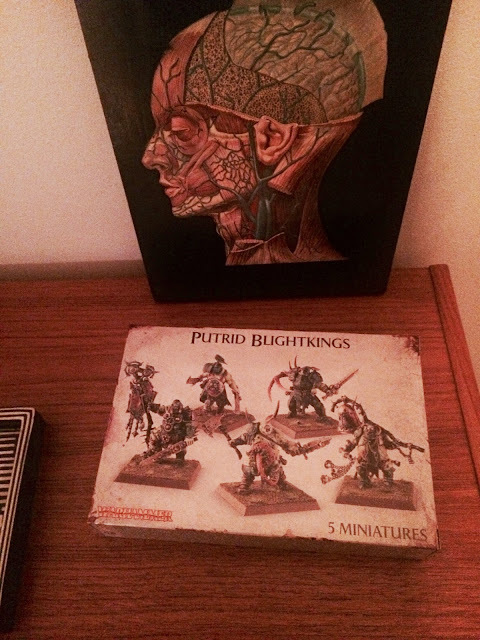 However, that didn't stop me picking up a box of the fantastic new blightkings. Along with the wracks, the freebooterz and the scions GW has really put out some truly stellar infantry kits this year. I'm going to have a blast putting together these bad boys! A concussion! Hope you are mending properly. O man - hope your head clears up soon sir. Those Blight Knights are indeed a sexi looking kit. Excited to see what you can come up with using them. Waiting to see your transition of these fellas. Get well soon! Sad to hear about that concussion. I wish you a quick recovery! I can't wait to see what you come up with for the Blightkings. They are awesome looking models, rife with conversion potential! The blightknight conversions look great. Sorry to hear about the concussions. I've suffered badly from a few as well. Don't push yourself too soon or you can really slow down your recovery. Fiddly work like painting can be really challenging. Good luck!